The largest marathon in Asia as well as the largest mass participation sporting event in the sub continent, the Mumbai marathon was recently held on the 21st of January. The annual event takes place every year in January, on the 3rd Sunday of the month. Perhaps the numero uno of Indian marathons, the Mumbai marathon is participated in by people from all walks of life, be it Bollywood celebrities, be it financial honchos, be it working professionals or be it college going students. It’s of no surprise that the success of Mumbai marathon spawned a whole host of marathons in other parts of India, most notable amongst them being the Delhi half marathon. Sufficient it would be to say that like the Gateway of India, Marine Drive, vada pav and the local trains, this marathon is one of those things that form the soul of Mumbai. An idea of Procam International Pvt. Ltd., a sports management company based in Mumbai, the first Mumbai marathon took place in the year 2004. Basically inspired by the London Marathon, the thought process of Procam International was that likewise in London, people in Mumbai would be open towards participating in a marathon, moreover, elite international marathon runners would also be willing to participate in it. The first Mumbai Marathon, held in the year 2004 only reaffirmed their faith with people of all hues flocking to participate in it. In the year 2009, Mumbai marathon became an IAAF silver label road race and consequently a gold label road race the next year, a prestige bestowed on very few marathons across the globe. As of today, the Mumbai marathon is one of the most eagerly awaited marathon across the globe, participated in by amateurs and the most elite athletes from the world over. The course for the Mumbai marathon passes through some of the city’s most iconic locations. 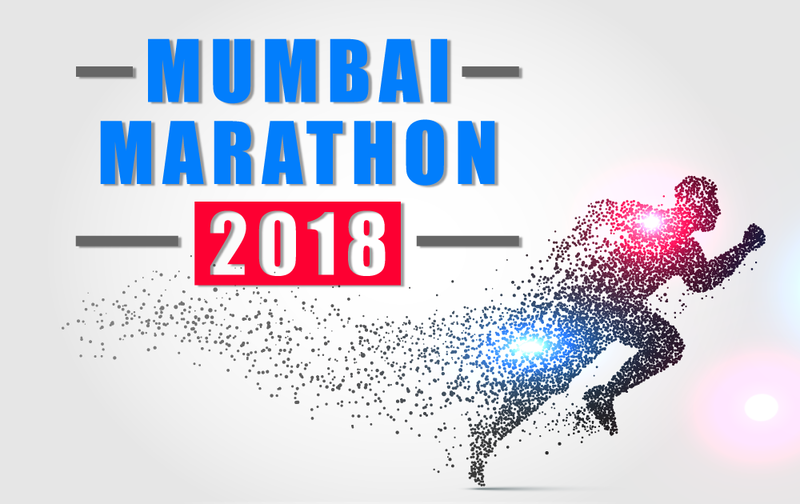 The race starts from the opposite the Chatrapati Shivaji Terminus and proceeds through Marine drive, Haji ali, Flora fountain, Mahim and the Bandra Worli sea link. The race starts at 5.40 A.M for the amateur full & half marathons and 7.10 A.M for the elite marathon. Mumbai, the city known for it’s fabled spirit turns out in large numbers every year to participate in the marathon. Like all events, the marathon also means different things to different participants, spirit of joy for some, spirit of self improvement for some, to spirit of survival for some. As many people have said, in this cut throat world where anxiety and restlessness reign supreme, marathons offer an undiluted opportunity to experience the joys of life, to assess oneself and his/her life. The basic prerequisite for an event to be considered successful is that it should inherit the soul of the place where it is based and yet should allow people from all across the globe to seamlessly participate. The Mumbai marathon does this like no other marathon anywhere, it inherits everything that is so intrinsic to Mumbai. The marathon and the city of Mumbai complement each other wonderfully, this is what makes the marathon one of the best in the world.